Retro-Gaming is popular. And a lot of people are building their own arcade machines or gaming consoles as personal projects. Part of these projects is to decide which hardware to use for accessing the arcade controls or gamepads. If original gamepads should be used this decision becomes even harder. And what if you want to connect various types of game controllers? What about a multi-platform, universal game controller USB interface for that purpose? What is special about the GamepadBlock? There already exist USB interfaces that allow you to connect arcade controls. And there are also other USB interfaces that allow you to connect one type of original game controllers or another type of controllers. In some cases these interfaces also only allow to connect a controller for one player. The key feature of the GamepadBlock is that it supports a whole range of controller types at the same time. It, therefore, combines several of the individually available adapters within one device. And since the GamepadBlock is USB HID-compliant, it can be used on Windows, MacOS, and Linux including system-on-chip platforms like the Raspberry Pi™ or Odroid. For all gaming consoles that are supported two gamepads can be connected. And you can even switch between the controller types via a virtual COM port. 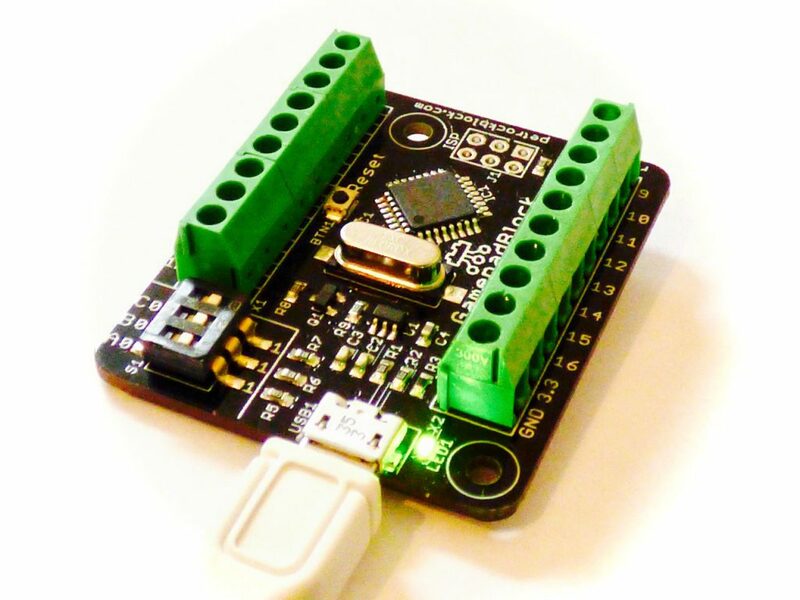 So far we have released the ControlBlock, which is an add-on board only for the Raspberry Pi. 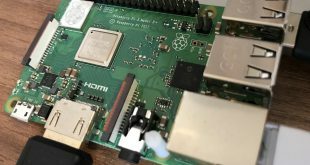 It provides ways for easily connecting arcade and original controllers to the Raspberry Pi™ (besides a power switch on-off functionality). However, people also asked for a game controller hardware interface like the ControlBlock that could be used on additional platforms other than the Raspberry Pi. Windows, MacOS, and, of course, other Linux-based systems. Today we are presenting the GamepadBlock: It is a Game Controller USB Interface for arcade and original game controllers. It is a USB HID compatible device that works with Windows, MacOS, and Linux such that no drivers need to be installed. Besides arcade joystick and button controls also NES, SNES, Megadrive/Genesis, Master System, and Atari controllers are currently supported. In addition the GamepadBlock allows firmware updates via USB. Therefore, it is ready for future updates that, for example, extend the list of supported gamepads! And if you want to dynamically switch between various controller types on your gaming machine, it is even possible to do so via a virtual USB COM port. Are you interested in more details about the development? We are preparing a development blog post, feel free to comment for any suggestions or questions!